Earlier this week, we jumped on a rare convergence of ‘gap-in-the-schedule’ with ‘perfect-weather-window’ to run Hula Girl from our SF base to San Diego in anticipation of the 2015 Newport to Cabo Race coming up in March. We had some nice sailing at the outset, but on day 2 a high pressure down in southern California killed the breeze… but it also smoothed out ocean and cleared up the skies. Man, was it beautiful. Absolutely crazy visibility coming down the coast. At Point Conception we could see the oil platforms from over 20 miles out. A ship passed seaward. AIS showed her to be 12 miles away, but I kept having to do double takes: she was so clear, I would have sworn it was a 30 foot model boat 100 yards off (not a 800 foot ship 12 miles away!). Absolutely surreal. Then the dolphins came. We see them all the time up and down the coast, but in the sunset lighting and a glassy sea, this was a great encounter… this absolutely never gets old. Post by J World Performance Sailing. So sadly the Cabo Race is full, but we are booking berths in the 2016 San Diego to Puerto Vallarta Race and the 2016 Pacific Cup! Happy new Year to all our friends! 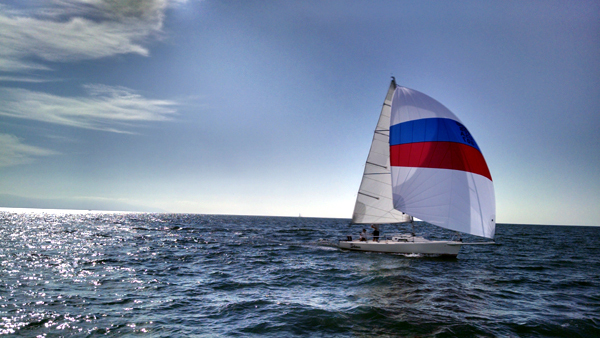 We hope the holidays treated everyone well, and thanks to all of you who were able to join us for some recent sailing. It was great to catch up with old frineds, and make some new ones! So looking forward, we have a fantastic sailing season going on in San Diego and Puerto Vallarta (that’s a shot of one of our J/80s in Puerto Vallarta last week… great sailing and temperatures in the 80s!) with a whole range of things on tap. Plus, a jaunt to the Caribbean for the St Martin Heineken Regatta should go a long way in curing wintertime blues (still a couple spaces available). 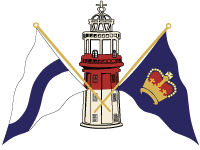 So while our Midwinters Clinic/Regatta and the Banderas Bay Clinic/Regatta have both been sold out, we are now booking the San Diego Yachting Cup Clinic/Regatta at the end of April and are working on getting another J105 clinic on the calendar for this Spring in San Diego (call us with your preferred dates!). For you offshore racers, we have an Offshore Racing Course scheduled for September (San Francisco to San Diego), and are now accepting deposits fro the 2016 San Diego to Puerto Vallarta Race, and the 2016 Pacific Cup. Cruisers will rejoice at our steady stream of Liveaboard Cruising courses running from San Diego to Catalina Island, and of course Learn to Sail courses are running regularly everywhere! 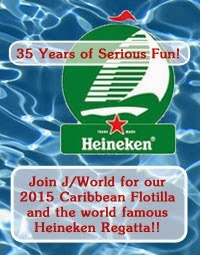 http://sailing-jworld.com/jworldwp/wp-content/uploads/2015/01/Header-Logo.gif 0 0 jworld http://sailing-jworld.com/jworldwp/wp-content/uploads/2015/01/Header-Logo.gif jworld2015-01-09 15:24:592015-01-09 15:24:59Happy New Year!